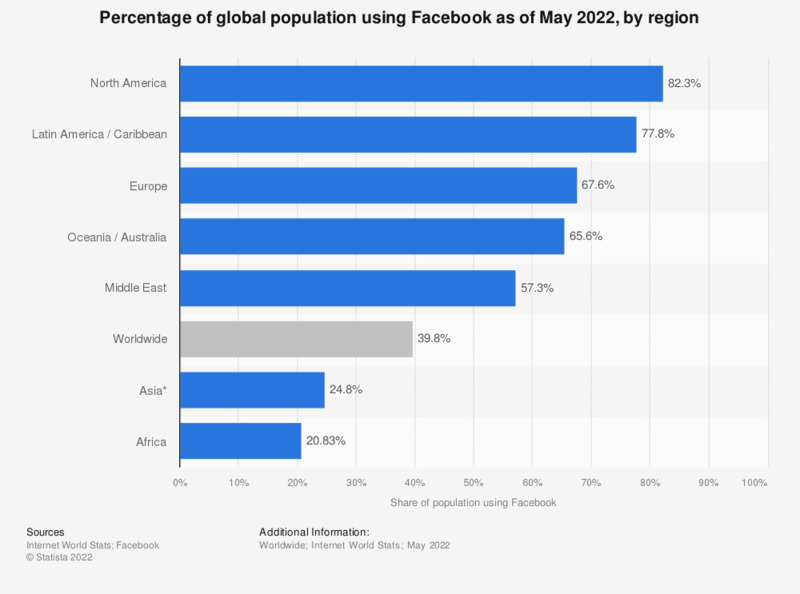 This statistic provides information on the share of the global population using Facebook as of June 2017, by region. As of that period, North America had the highest active Facebook usage rate with 72.4 percent of the population accessing the social network. *Facebook is banned in China, depressing Facebook penetration in Asia as a whole.